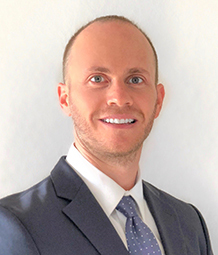 While following in his father’s footsteps, Jared Kravitz has assumed many key roles throughout his career in the mortgage industry. His diverse background and lending experience enables him to tailor financing to fit his clients’ unique lifestyle and goals. Jared works with a full range of borrowers, including first time home buyers, veterans, and seniors needing a reverse mortgage. His strong work ethic, honesty, and expertise allows him to attract and maintain a diverse client and referral base. Jared is an avid hockey fan, and in his spare time enjoys surfing, cooking, and playing poker. No matter what your situation, let Jared help you find the best home loan solution to fit your needs.